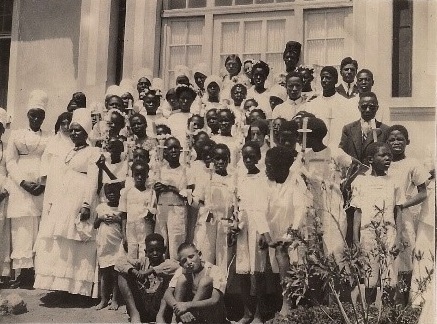 An urgent need for new missionaries arose in South West Africa, now Namibia, after World War I. The only female congregation at that time, the Franciscan Sisters of Nonnenwerth, was requested by their Generalate to leave “Maria Hilf Hospital” in Windhoek, now called “Roman Catholic Hospital”. Fr. Eugene Klaeyle, the Apostolic Prefect and Fr. Damian Arnold, his representative in South West Africa, looked for other Sisters to take over the hospital and other mission stations. As early as 1917, Fr. Arnold tried to request for the German Sisters, former missionaries in East Africa who were detained in Camp Tempe near Bloemfontein in South Africa, for mission work in South West Africa but instead the Sisters were repatriated to Germany in April 1919. 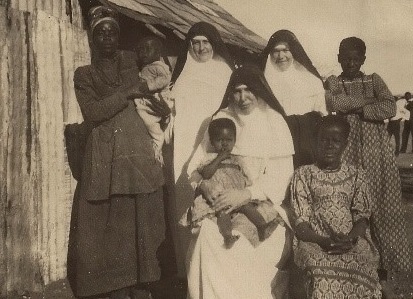 Eight Sisters left Tutzing on November 7, 1920, the first ones to travel to Africa after World War I and the last ones sent out by Mother Birgitta as Prioress General. On November 11, 1920, they boarded the “Baltika” in Hamburg, the first German steamer that would cast anchor in Namibia. Among them were former East African missionaries and a new missionary. They landed on the coast of the Atlantic Ocean at Walvisbay and began their “Service that Saves and Heals” in Swakopmund. They were: Sr. Beatrix Biefel, OSB, Superior, St. Anselma Schnitzbauer, OSB, Sr. Constancia Mayr, OSB, Sr. Gabriela Reiter, OSB, Sr. Ingridis Meiller, OSB, Sr. Franziska Mövenkamp, OSB, Sr. Relindis Bessinger, OSB and Sr. Sophia Ohnmacht, OSB. Within a short time, mission stations in Kavango and Owamboland were opened. 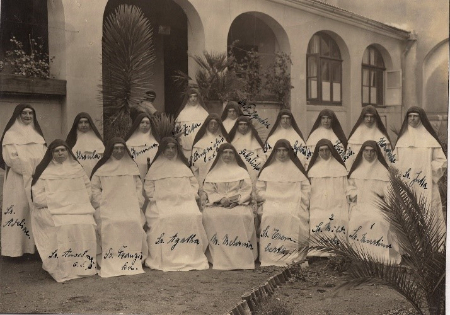 On April 16, 1923, the Sisters took over the administration and work in the Roman Catholic Hospital in Windhoek. 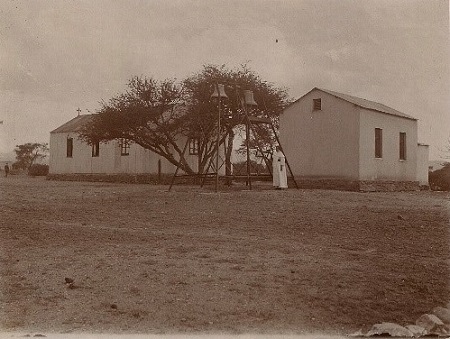 On June 26, 1926, the Holy See approved the canonical erection of St. Benedict Priory of Windhoek. The decades that followed were dedicated to the expansion and consolidation of the work begun under mostly troublesome, arduous, poor and difficult conditions. 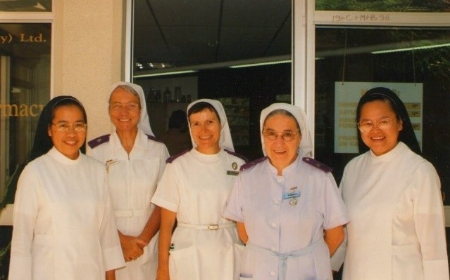 Sisters in 17 missions in Namibia and also 2 missions in Angola (Cuchi and Serpa Pinto/Menongue) until 1975 served the people in education, health care, pastoral work, farming and many others. Towards the end of the century, the need to form its own members to give a future to the mission work in Namibia emerged. Formerly, this task was exclusively entrusted to the Benedictine Sisters of Oshikuku which was founded in 1932 with the help of our Sisters. In the course of the years the two Congregations took different developments, especially with our Congregation developing its international character. A turning point was reached in 1993. A Novitiate was canonically established in the Priory. The first aspirant was a Filipina followed by three Namibians. The Priory marked another milestone in its history when Sisters from the Congregation of the Benedictine Sisters of Oshikuku requested for integration. The process was done in different phases and Sisters were accepted on the following dates: 2 Sisters were accepted on January 15, 1994; 1 on May 19 1998; 53 on August 29 1999, and 5 on July 1, 2000. 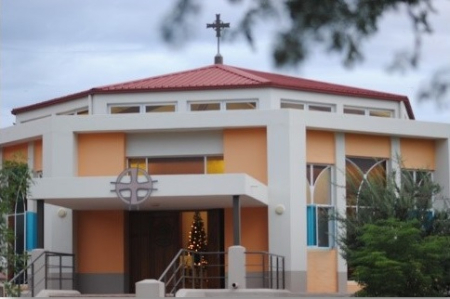 Due to expansion of the Roman Catholic Hospital and the growth in membership in the Priory, the Priory House was transferred to Nubuamis, Windhoek and was blessed on July 15, 2000. To date, the Priory consists of 80 Perpetually Professed Sisters, 28 Temporary Professed Sisters, 5 Novices, 5 Postulants and 3 Aspirants. From the 108 Professed Sisters, there are 88 Namibians, 6 Germans, 1 South African, 4 Filipinas, 3 Koreans, 1 Australian, 1 Angolan, 2 Nigerians, 1 Ugandan and 1 Tanzanian. 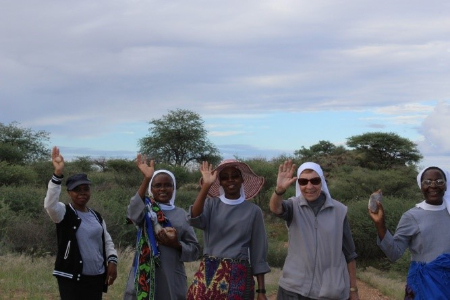 The Sisters serve in 11 mission stations and 1 outreach station in the fields of education, health care, pastoral work, farming, catechism and first evangelization, apostolate of prayer, parish work, hostel management and feeding. 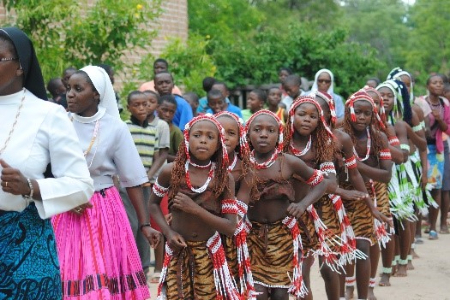 In the Kavango Region: Bunya Community at St. Eugene Roman Catholic Mission in Bunya; Shambyu Community at the St. Joseph Roman Catholic Mission in Shambyu; Tondoro Community at the St. Laurence Roman Catholic Mission in Tondoro; St. Scholastica’s Community in Namuntuntu.